Karachi’s ‘second-winter’, an arctic chill, warm hats and soul-warming food…us foodies at Lowe Karachi hit our local water-side ‘restaurant row’…aka the kolachi-strip… for some LOWE-love! 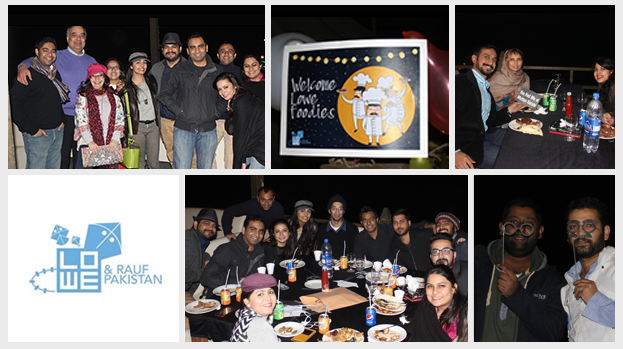 It takes very little for us at Lowe Pakistan to celebrate: rain inspires deep-fried goodies, summer inspires iced-treats and winter calls for cozying up with mugs of tea and enjoying the crisp weather… And so the new year was celebrated with true local spirit as we ‘chilled-out’…literally…to the sound of the sea and got a chance to catch-up with each other on more than just deadlines, meetings and con-calls! – Natasha, Design Team Lead, sums up the evening perfectly!